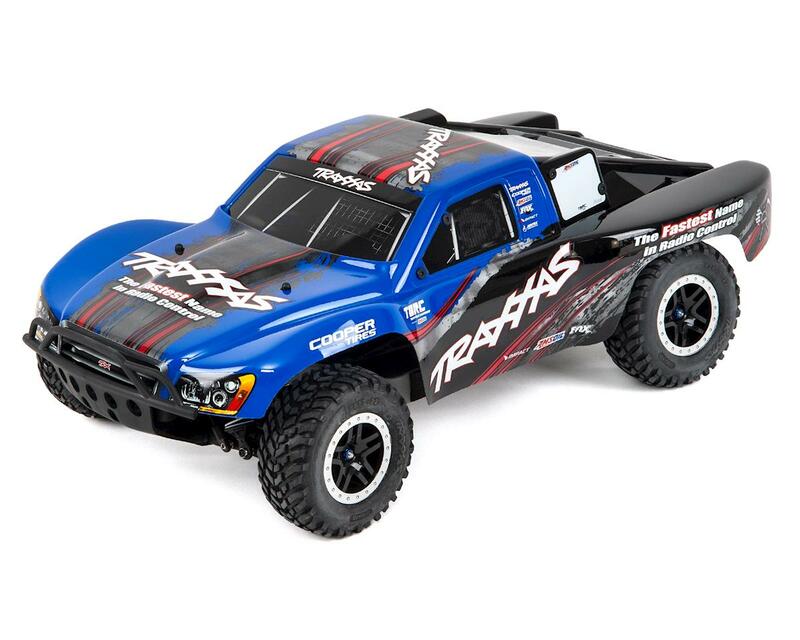 The Traxxas Slash defines the Short Course truck segment and sets the standard for durability, performance, and technology. 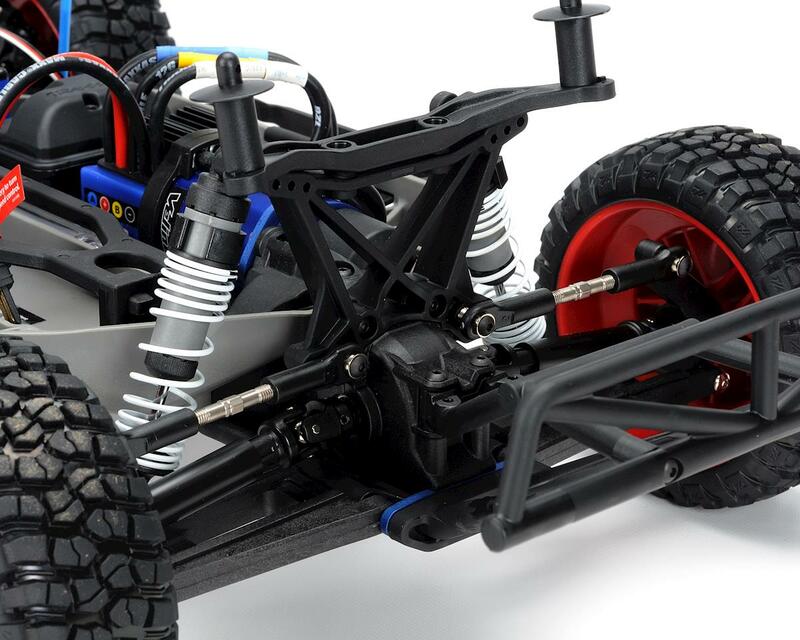 Innovative features like Traxxas Stability Management (TSM), modular chassis design, and ultra-efficient shaft drive complement Slash’s track-tested precision and rock-solid durability. 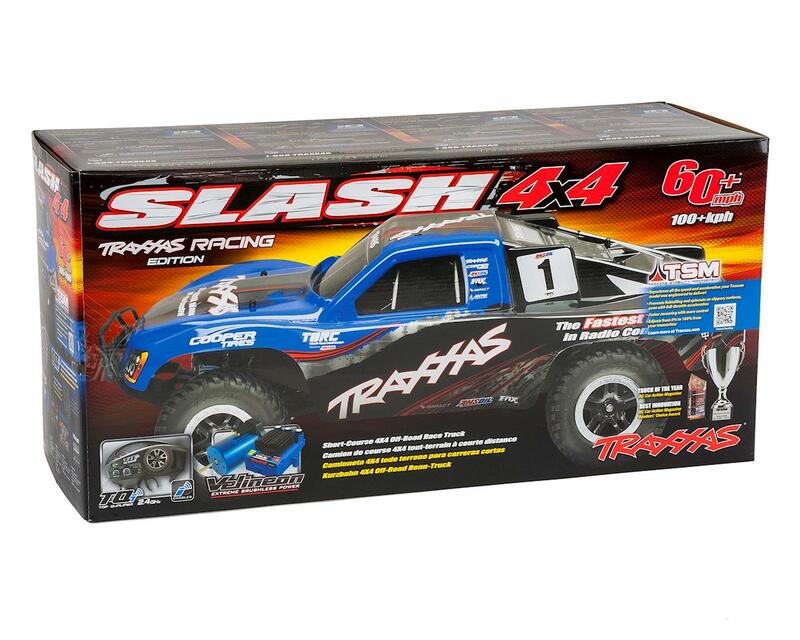 Slash 4X4’s extreme Velineon brushless power provides screaming 60+mph speed while the TQi radio system keeps everything under precise control. 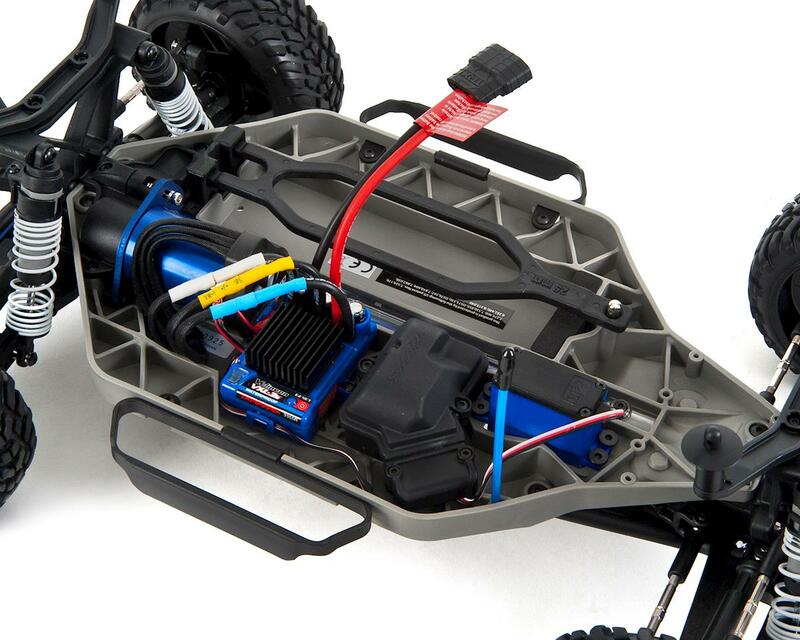 With just one drive you will see why the Traxxas Slash 4X4 elevates Short Course performance to a whole new level. 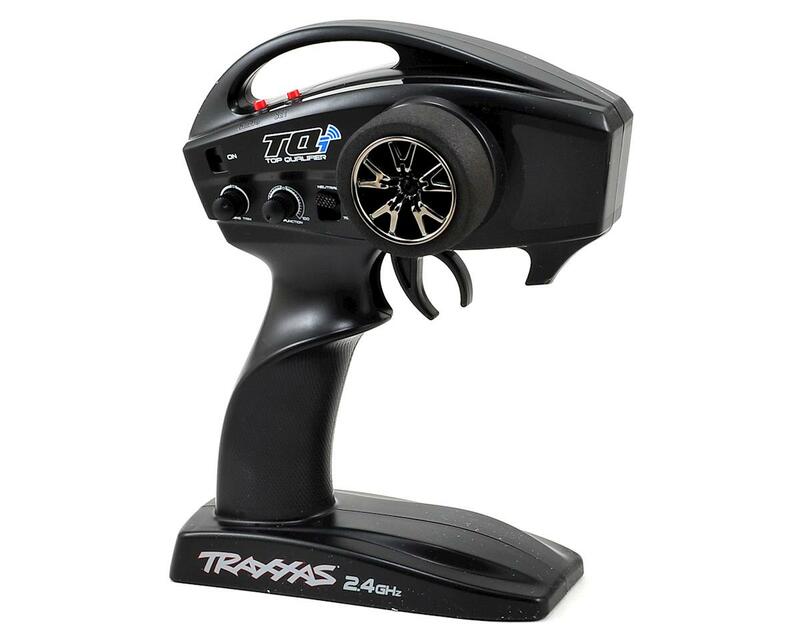 Traxxas Stability ManagementTM (TSM) allows you to experience your Slash’s extreme power, speed, and acceleration by making it much easier to control on slippery surfaces such as loose dirt, smooth concrete, and even ice and snow. Go ahead, punch it off the line! very good truck i race it i had to upgrade some stuff but thats about it great truck!!!!! This is a fast truck!! Talking to others and in my personal experience one of the front shocks blew a cap before running through the first battery. I'd highly recommend this truck however consider getting shock upgrades at the same time. 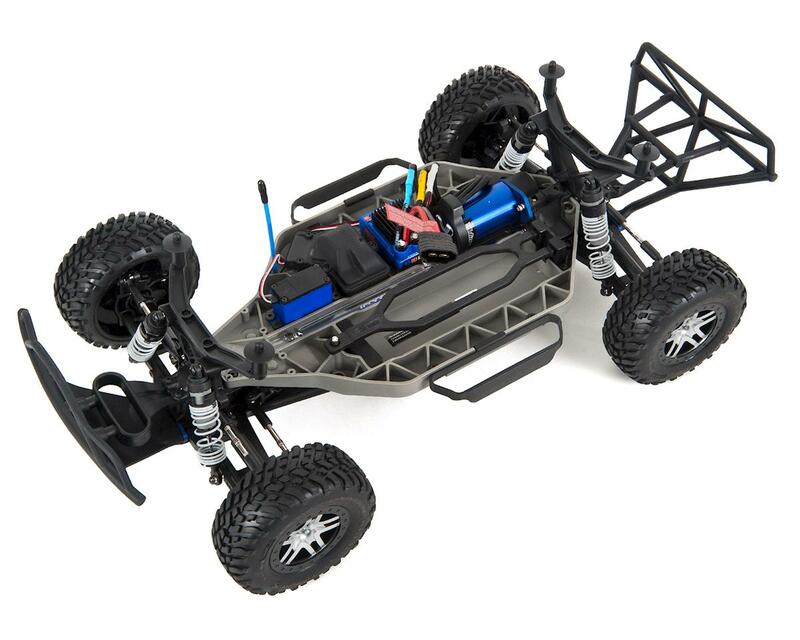 Bought my first rc car and its awesome. 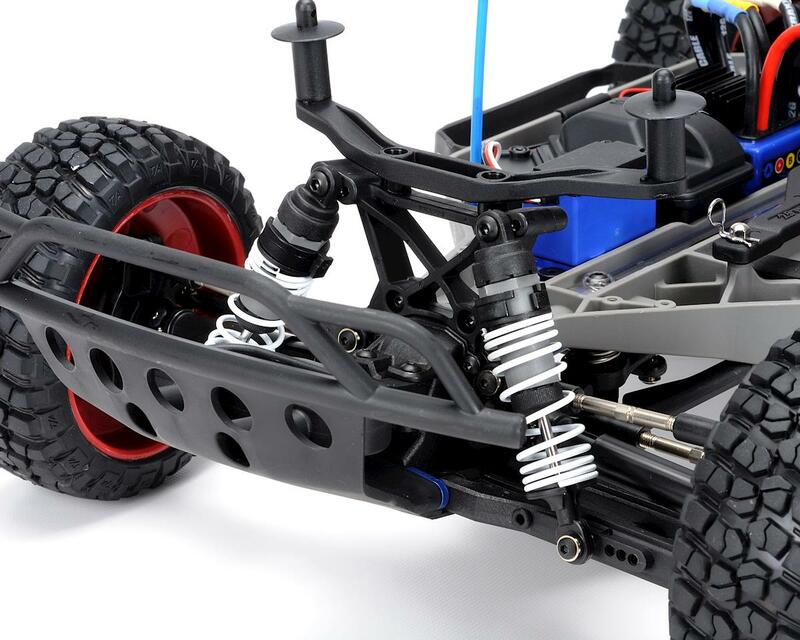 Extremely fast on street and handles great offroad in soft sand. Opted to go without onboard audio and telemetry for Bluetooth. Still worth every penny. Replaced front cv axles (MIP) and control arms (RPM) day 2 because stock parts couldn't handle the terrain. Also no fan on this car so it will overheat and shutoff for a bit before restarting, not a problem at night or if you dont live in a desert.